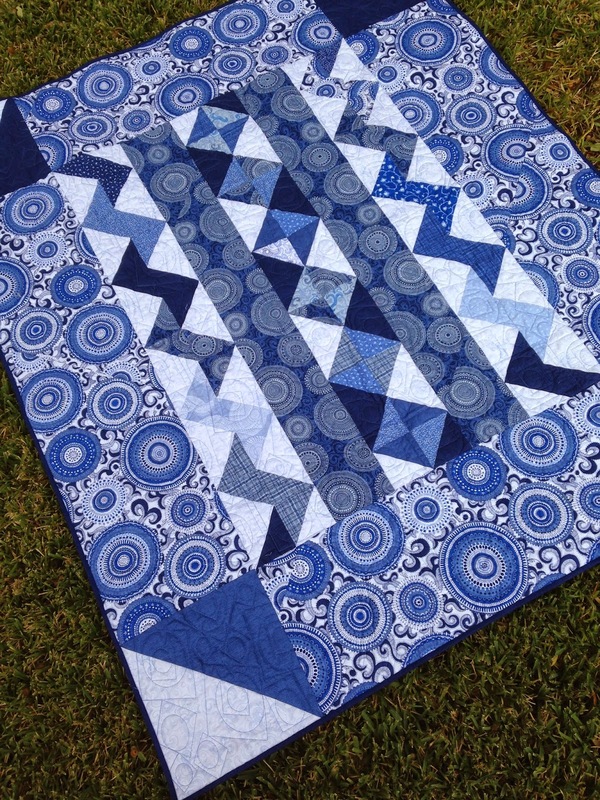 A day or so ago I posted some quilting eye candy and 2 of those quilts belonged to Ruby. She sends me the quilt tops, I quilt them and send them back to her. On the same day I send them back, she mails me a check and we each usually receive or respective mail parcel a day or two later on the same day. Well, a couple of days went by and I didn't get Ruby's check. She got my package with her quilt in it but no check from her for me. I was about to call her when I got this in the mail. It was in a clear plastic sleeve from the post office with an imprinted mumbo jumbo about how accidents happen. Hmmm.... I don't think I can read the note and I certainly don't think I can cash this check. 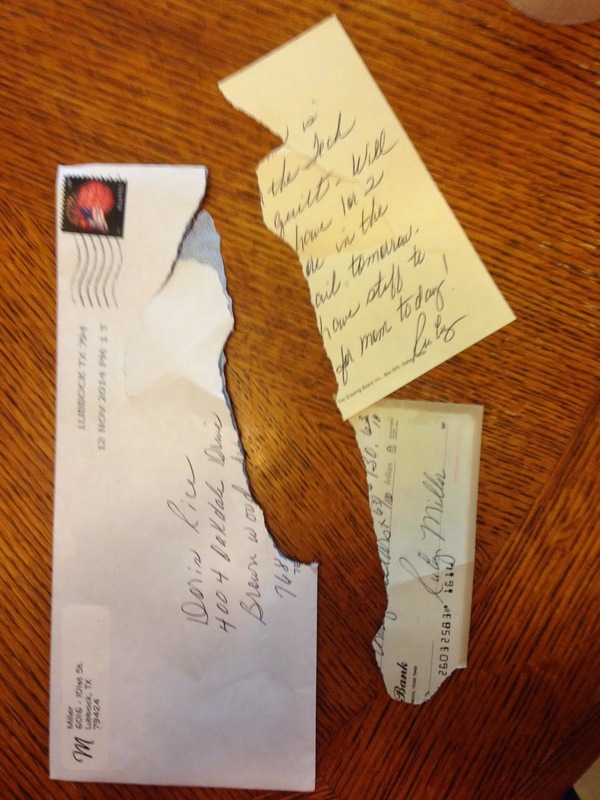 Do you think the letter got caught in a postal machine!? Debora is always so generous with her quilts. I don't think she's kept one for herself yet. This one is for a co-worker. 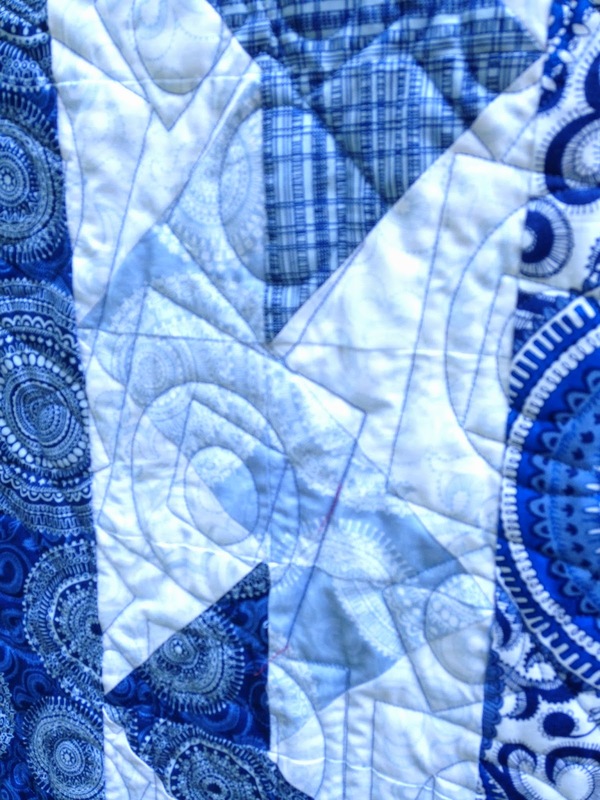 I quilted round pegs in a square hole on it in Sky blue thread. Every once in a while Debora will have me embroider a label for the quilt. 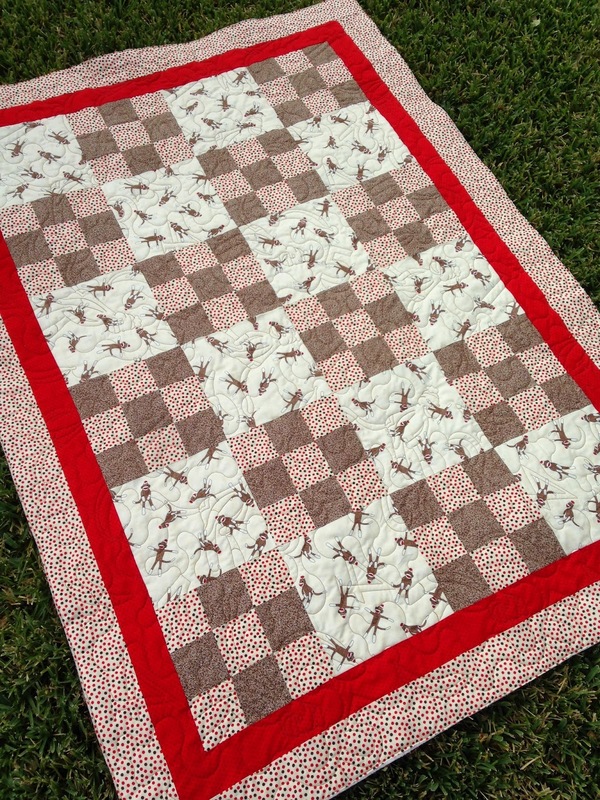 Then out of the left-over scraps from the quilt above, she made this darling baby quilt. 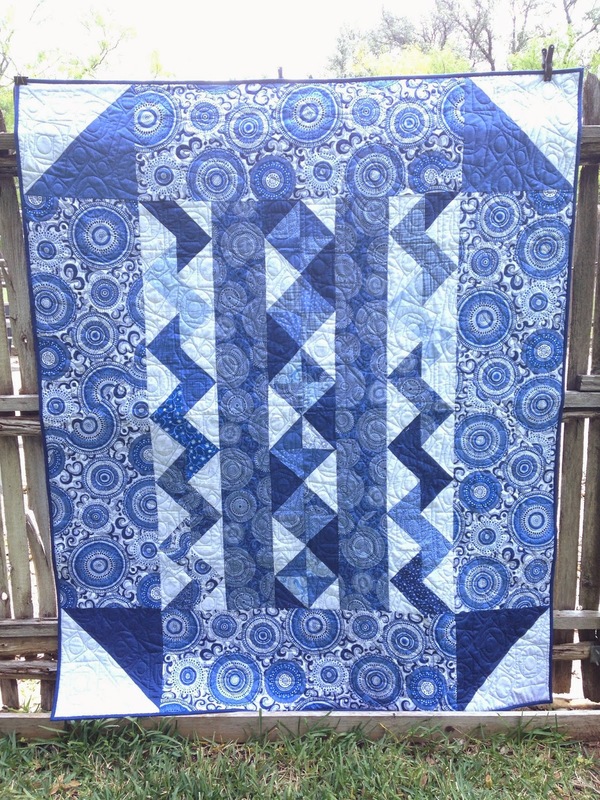 A simple swirl, called Deb's Swirl was quilted on it in the same Sky blue thread. 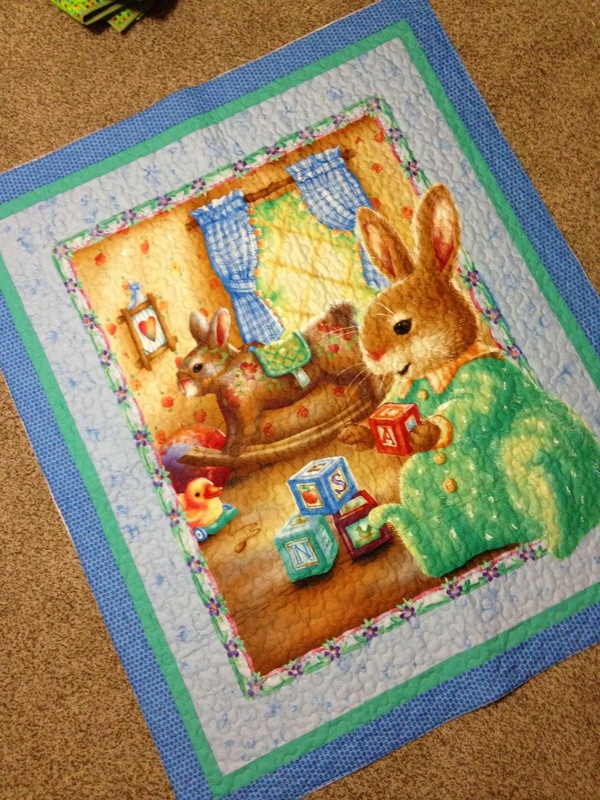 And another baby quilt using a charm pack that Debora made also. 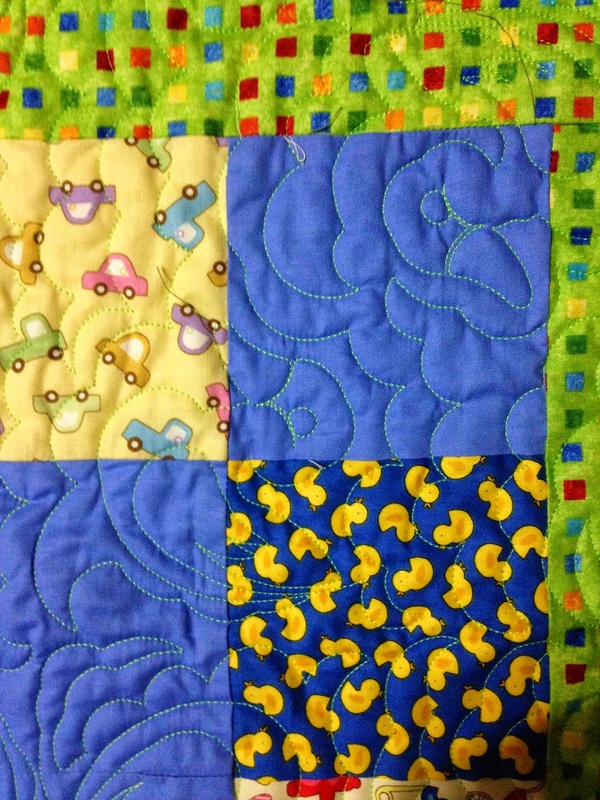 I quilted rubber duckies on it in Neon Green Glide thread. Kathleen has been a busy little beaver elf. She didn't say who any of the next 3 quilts are for but I'm betting she's giving them away. She usually does. 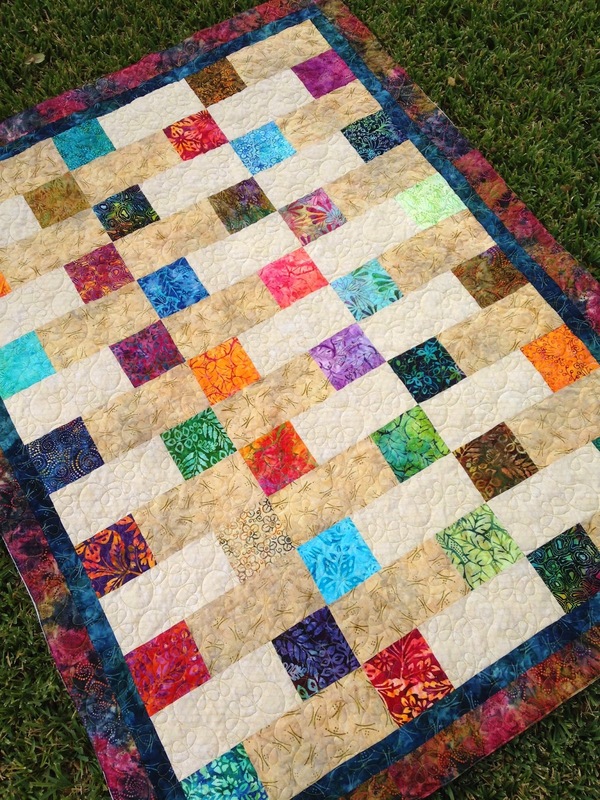 A batik quilt that looks fast and easy. 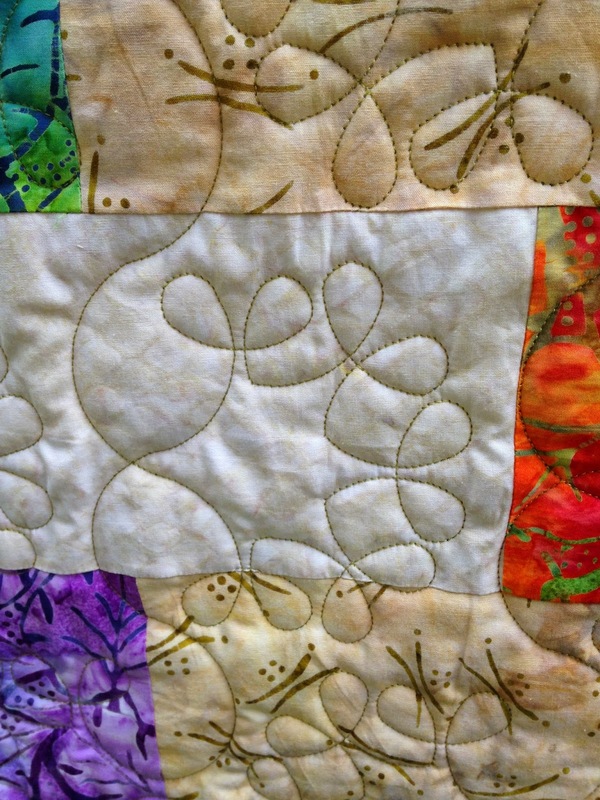 And some loop de loops quilted with Glide Sand thread. 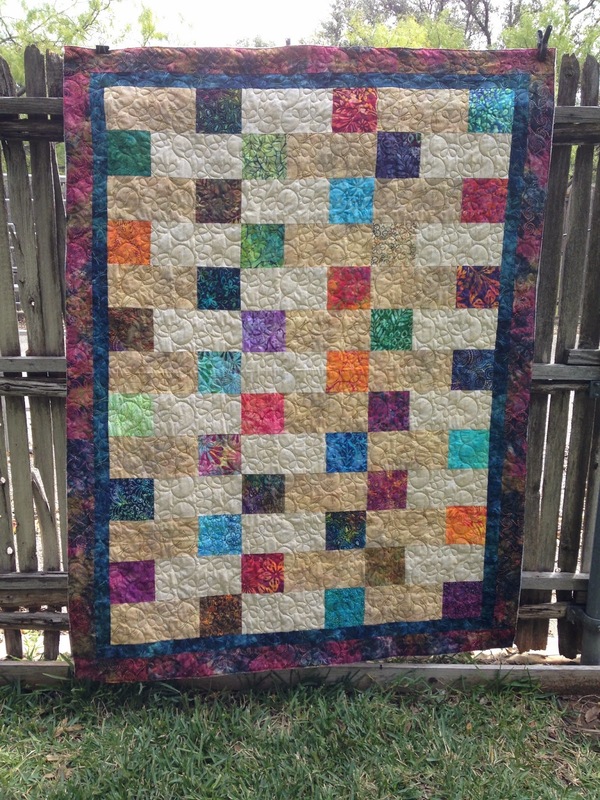 The cutest sock money quilt! 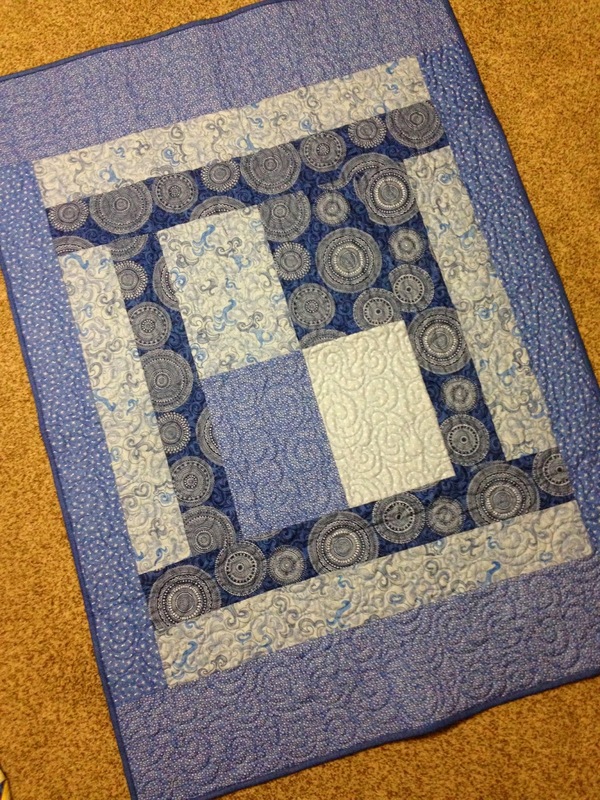 A simple nine patch block alternated with a plain block using the focus fabric. 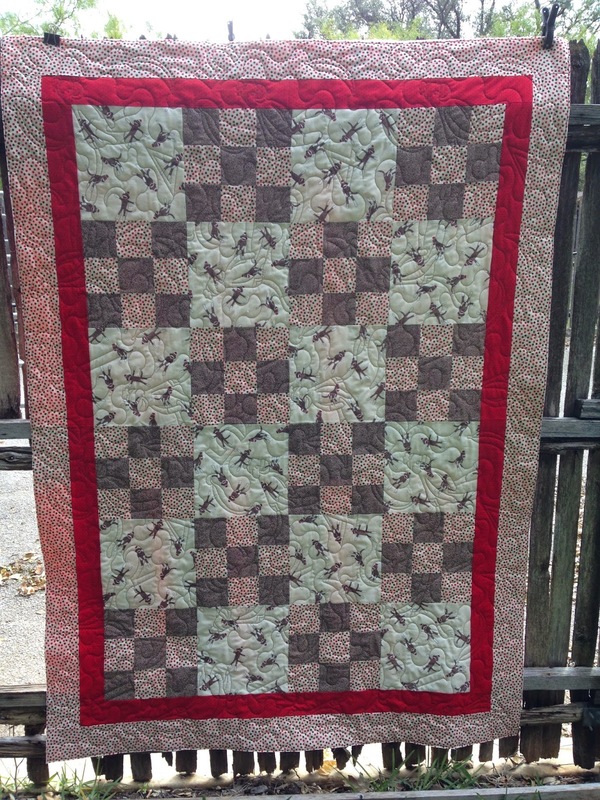 And how could I resist quilting the "funky monkey" pattern on it with Latte thread. When I saw this pattern I thought it was so cute and thought to myself I'd probably never get to use it. Well guess what; I DID!!! 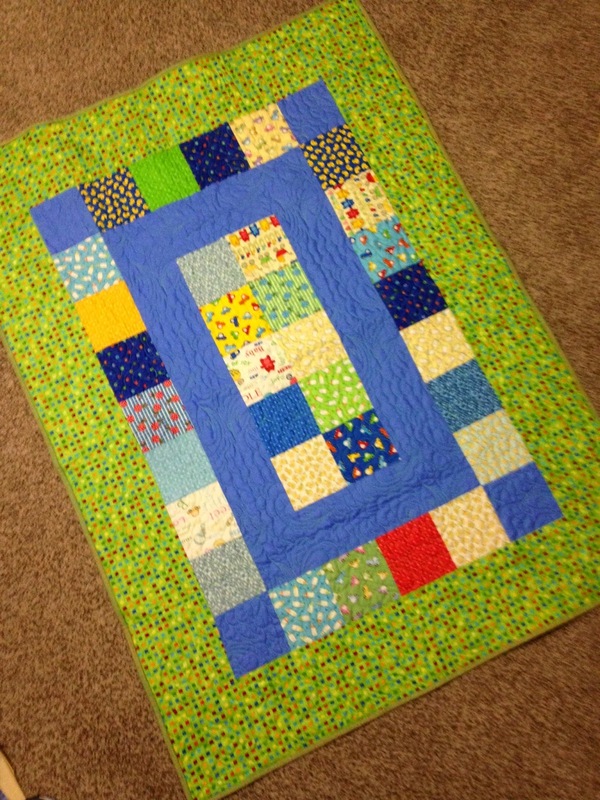 And a sweet baby quilt by adding 2 borders to a panel fabric. 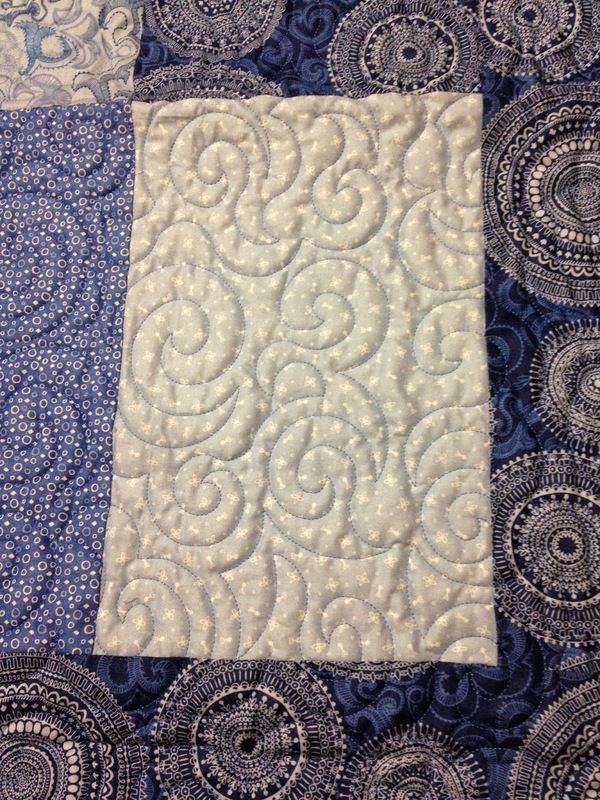 I quilted a pattern called Cotton Candy in Glide Sand thread. 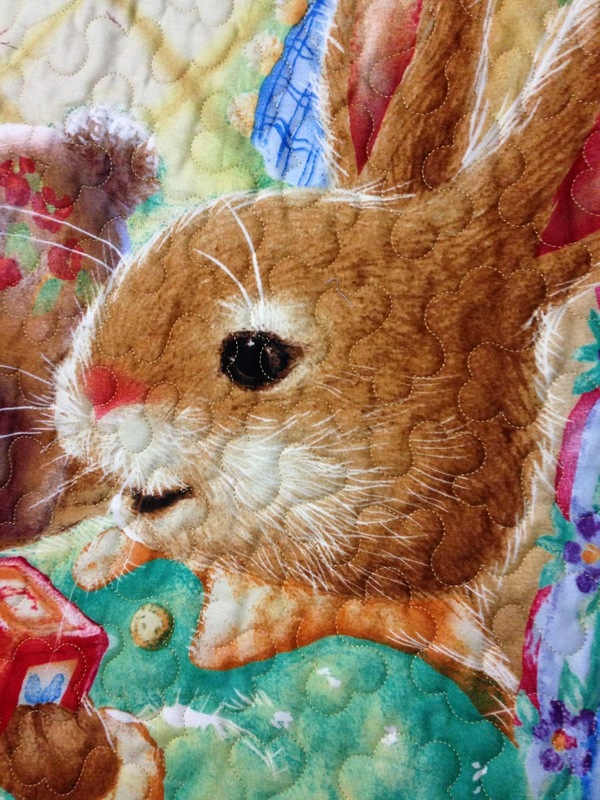 Lots of beautiful quilting going on at your place! I've gotten one of those ripped up things from the post office, too...annoying!